Sometimes you just can’t beat a good old fashioned loaf I agree! Good to see you back. .-= Helen´s last blog ..A Swift Lunch at Needoo Grill =-. Thanks so much for this challenge piece, I made this tin loaf yesterday and now there is barely any left. I like this technique for kneading bread but it felt like maybe took longer than my previous kneading technique. In saying that though it definitely produced better results, so well worth the extra investment! 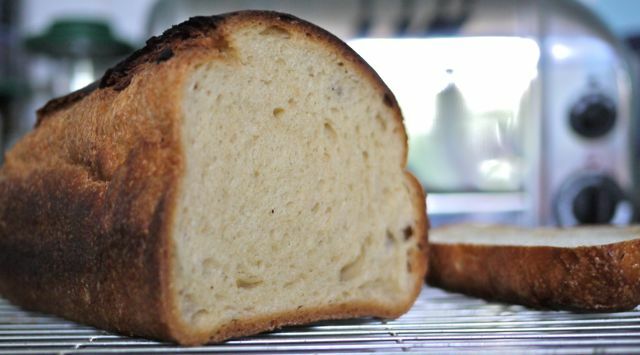 .-= Lauren´s last blog ..White Tin Loaf – Fresh from the Oven =-. Hello, I accidently come across your site whilst browsing around Google as I’m looking for some information on wall ovens!. I think it’s a very interesting site so I have bookmarked you and I intend to return soon to enjoy a more indepth read when I’ll more free time. Thank you again for hosting this months challenge. Hope this post is the first of many more to come! 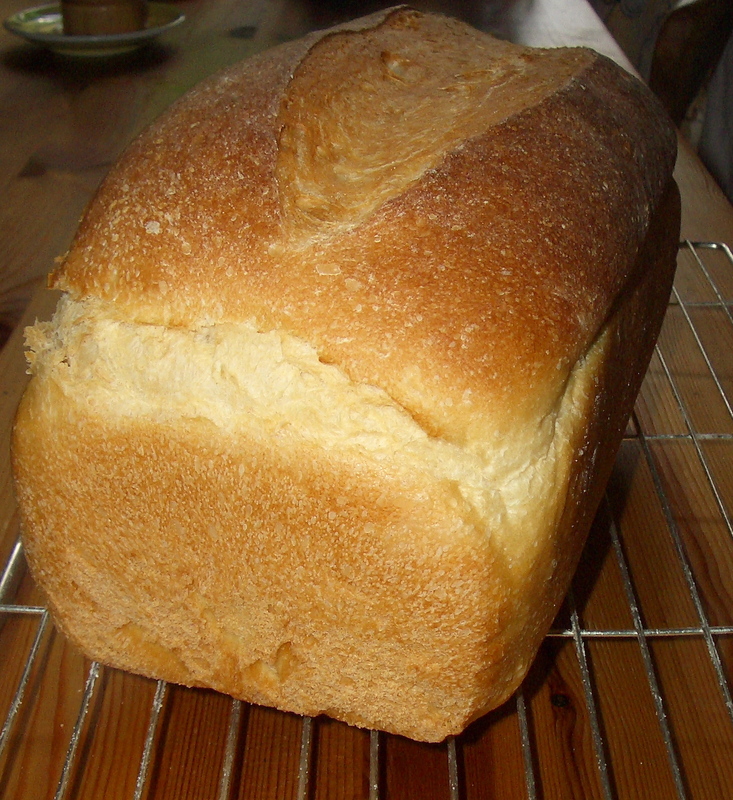 .-= Claire´s last blog ..Fresh from the oven – White tin loaf =-. Linda, that is a stunning loaf. Your bread making is very impressive. .-= Jan´s last blog ..The Crown Prince and the naked pumpkin =-. .-= scandilicious´s last blog ..Recipe from the Blaggers’ Banquet – a sumptuous chocolate fondant from Trish Deseine =-. This looks both delicious and relatively simple. Hopefully – if I can find my bread tin – going to give it a try on Sunday and see how it goes!